Era of Inventions has a potentially dull sounding theme – patenting inventions and manufacturing patented items. 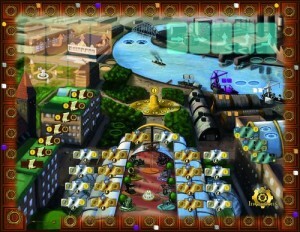 However, do not be fooled, Era of Inventions is a great placement and resource management game. Over 8-10 rounds, players gather resources (materials, money and development cogs) so that they can build factories, invent devices, take out patents, and build inventions. Doing this scores victory points and the player with the most VPs at the end of the game wins.